The anklet measures approximately 9-3/4" inside circumference. We provide you with the absolute best quality of liquid silver out on the market today! Test it yourself and you'll know the difference! 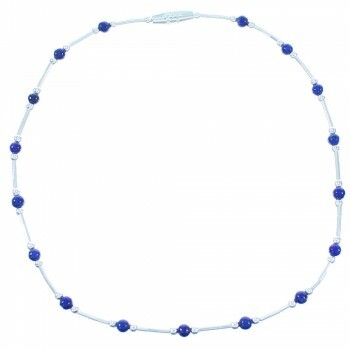 This incredible anklet is hand strung bead by bead out of genuine sterling silver and real Lapis beads. 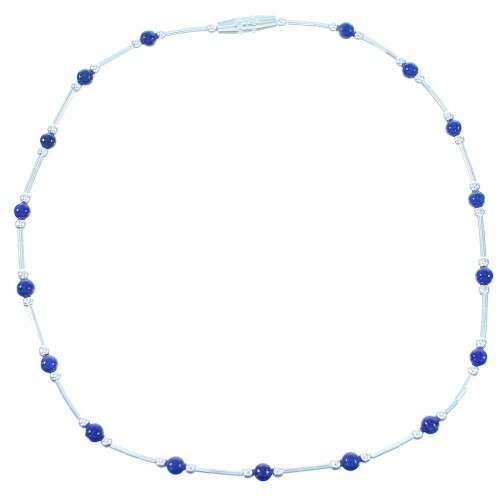 The anklet consists of a lovely combination of liquid silver, 2-mm silver round beads, along with 3-mm Denim Lapis round beads. 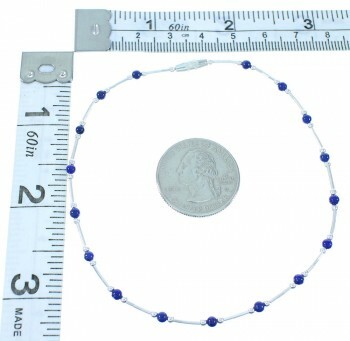 Dont pass up this stunning anklet!